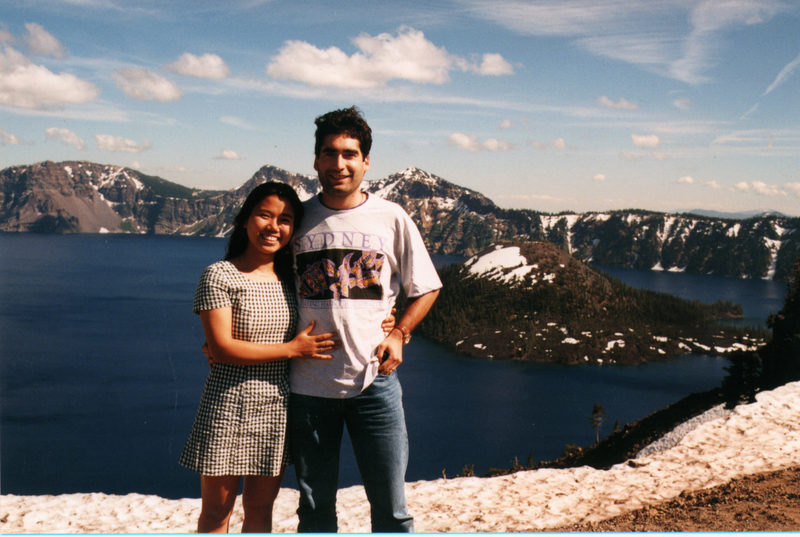 Jiaxing and I in Crater Lake, Oregon, U.S.A. (July 1997). My paternal grandmother Teresa Aran and Jiaxing in Ulldemolins, Catalonia (March 1996). Jiaxing, her sister Xingrong and I in Shekou, China (December 1995). Jiaxing and I with our parents in Shekou, China (December 1995).